Gerbils can make excellent pets. They can be very active, with great personalities. If raised and handled properly they’ll be your friends for life. They are sociable animals and should live with their own species, but they must be introduced before they’re fully grown to reduce the risk of them not getting on. At Pets Corner we only sell our gerbils in litter pal pairs. Buying a pet is a lifelong commitment. Are you prepared to clean out a cage possibly several times a week? Could you cope if we are noisy? What if we smell more than you thought? You will have to let us out for some exercise indoors every day, and I may chew or damage things. Gerbils are very active rodents, they are awake on and off throughout the day and night, and are incredibly inquisitive in nature. 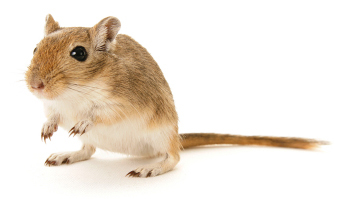 Life expectancy varies from breed to breed, however the Mongolian gerbil lives for between 3 and 5 years. They make fantastic pets and are great fun to watch burrowing and playing in their enclosure. They require plenty of enrichment in their environment for stimulation and will enjoy destroying toys and accessories with their sharp teeth. Gerbil owners should be prepared to get creative with activities for their pets to keep their busy minds, feet and teeth occupied. Objects such as cardboard rolls and wickers toys will be greatly appreciated as they gnaw away at them. Another great enrichment idea for them is the simple jam jar. Once cleaned with a pet safe disinfectant, pop a glass jar into their enclosure and watch them spend hours playing with it. Gerbils cannot gnaw through glass, so it will be a toy that lasts and one that they will love to bury, dig up then bury again! Do check their food and water twice a day, making sure you clean any poo and woodchips out of their food bowl. Do clean the cage thoroughly at least once a week with petsafe disinfectant. Make sure you clean everything your pet touches. You can use a litter scoop to make this easier. A small amount of used but unsoiled bedding and nesting material transferred when you clean out your gerbilarium as cleaning can be stressful and removing all odours may trigger fighting. 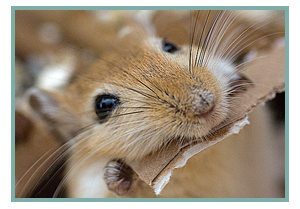 Gerbils have an acute sense of smell. Do allow your pets to settle in for 24 hours before handling them for the first time. Play with your pets as often as possible, when handling them be gentle and stay close to the floor. A member of staff will show you how. Do let your pets have a supervised run around indoors as often as possible as exercise is essential. A play ball is an excellent way for gerbils to explore your house safely (use for only 20 minutes at a time). Do keep them indoors out of direct sunlight, in a room with a steady temperature and no draughts. A bedroom or lounge is ideal. Don’t feed LETTUCE or AVOCADO as these can be harmful. You can give gerbils very small amounts of fresh fruit and vegetables, but no more than twice a week. Don’t ever pick your pets up by their tails as it hurts them. Don’t keep them near televisions or stereos as these can produce high frequency sounds that will irritate them. Don’t use aerosol cans near them as they can produce toxic fumes. Don’t overcrowd their cage with toys, although a few toys are a good idea. Tank: Gerbils need a lot of room and they love to dig so tanks are best. The absolute minimum requirement is 40cm x 75cm of floor space per pairing, however bigger is ALWAYS better! Gerbils love to dig and build intricate tunnels and will need substrate to be able to achieve this. This must be taken into consideration when choosing a cage. Be sure that the enclosure is deep enough to create a substrate of depth of 20-30cm for borrowing. You should avoid any enclosures that have plastic sides or parts – they will chew through these very quickly! The best gerbilariums a made of glass with a secure mesh lid. 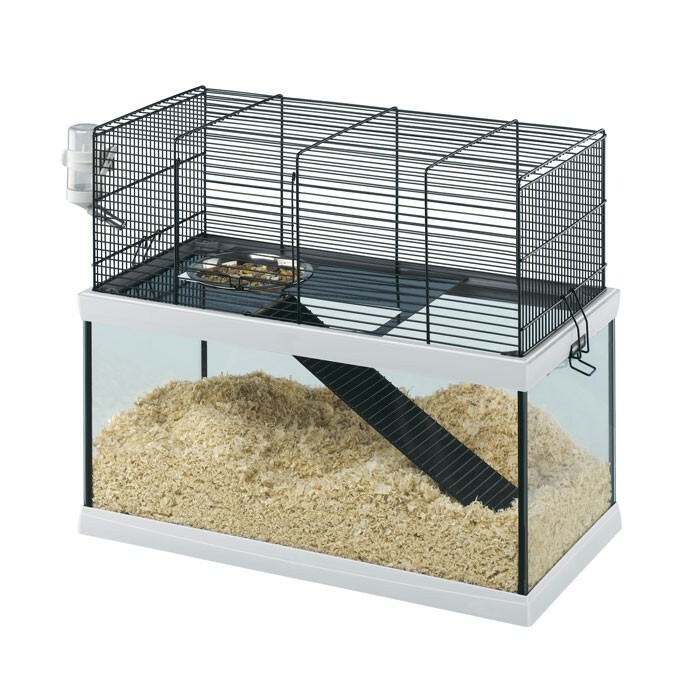 House: Gerbils need a house in their tank they can hide away and sleep in peace. Substrate: Use plenty of substrate in the bottom of their tank. A depth of 20-30cm is best, with supporting objects placed within the substrate for them to build their tunnels around, these will act as a type of scaffolding. The substrate will soak up urine and protect their feet and it’s great for them to dig around in. You can use beddings such as dust extracted wood shavings, Carefresh or pet friendly, non-toxic peat. Bedding or hay: It is important that you use either animal safe bedding or hay, which should be placed in their house. They will use the hay to nest and to gnaw, so its very important that it is provided for them. Food: Gerbils are omnivores, so should be fed on a complete gerbil mix. It is vital that animals are weaned gradually onto any new food. Food scattered directly on the surface of the bedding is enriching to the animals by giving them foraging opportunities. 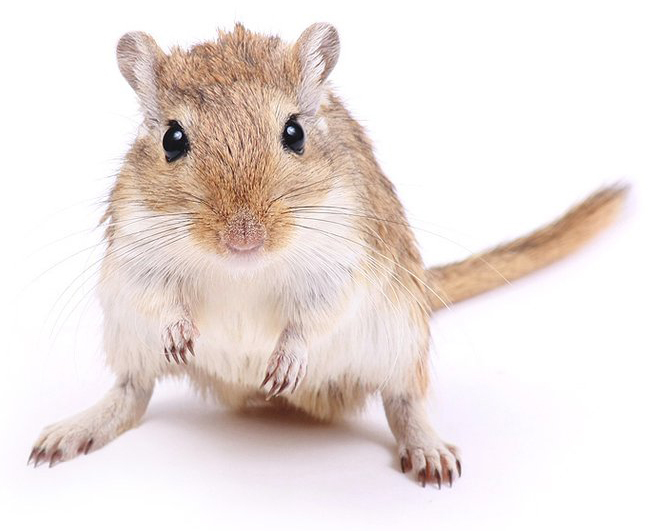 Gerbils naturally eat seeds of various grasses, bulbs and a range of leaves and herbs. Overgrown teeth: Gerbils can suffer with overgrown teeth that may have to be clipped by a veterinary surgeon. Always make sure there is plenty of gnawing material available. Sore nose and respiratory infections: Gerbils can suffer from sore nose; it is a bacterial infection that affects the glands around the nose. If they do not groom themselves properly the glands can become irritable, they then scratch their nose and it becomes infected. Veterinary treatment is required. To help prevent this give your pets a sand bath at least once a week and ensure to use a dust extracted bedding material to reduce respiratory infections. If you have concerns about the health of your gerbil, veterinary attention MUST be sought. It’s a good idea to get as many of the following items as possible when you buy your pets. It’s a big initial payout but small animals are usually very economical to keep.